These high-performance Panasonic Fax Machines are reliable, durable, and capable of handling a large volume of documents. Models with high security and easy operation are available in a range of types, from high-capacity types for users with heavy faxing needs, to compact types. The popular Panasonic Panafax series raises office productivity with high-speed, reliable scanning, to meet your business needs with convenience and comfort. 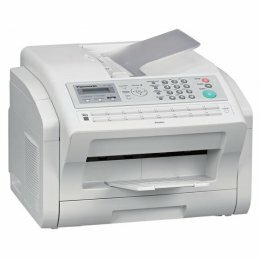 The Panasonic UF-6200 is is a Multifunction Plain Paper Laser Fax Machine. 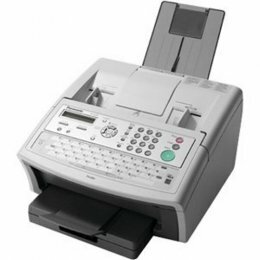 The UF 6200 Fax Machine can print at up to 6.5 pages per minute. The Panasonic 6200 Fax Machine can transmit documents at a speed of approximately 3 seconds per page. 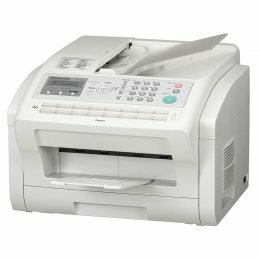 The Panasonic UF-5500 is a Multifunction Plain Paper Laser Fax Machine and is excellent for busy offices. The Panasonic UF5500 can print at a speed of 24 pages per minute and can transmit at approximately 3 seconds per page. The Panasonic DX-800 Fax Machine can scan and send text, graphic, photos or handwritten paper documents to its destination, via fax or email. Its super G3 fax modem ensures a quick sending speed of 3 seconds as well as reliable fax transmission and reception over telephone lines. The Panasonic DX800 will laser print at a speed of 6.5 pages per minute and scan at a rate of 2.8 seconds per page. This fax machine is easy to use with its directory search and its QWERTY keypad to help you find the email address quickly. 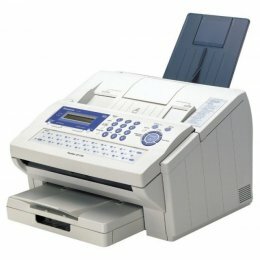 Panasonic Fax Machines are famous for their high capacitiy and fast-printing. They continue to lead the industry in reliability, durability, PC connectivety and Internet faxing.